Prof. Dan Cassens, a leading authority on North American hardwoods, will present a full-day program focused on hardwoods sawing, grading, drying and more. The Hardwood Lumber & Sawmill Workshop is scheduled for Thursday, March 17 at the Mayslake Peabody Estate, 1717 W. 31st Street, Oak Brook, IL. The full-day program, is presented in special cooperation with the DuPage County Forest Preserves, by the Purdue University Department of Wood Products and the Illinois Wood Utilization Team. The workshop, precedes the Bringing the Urban Forest Full Circle Conference set for Friday, March18 at Hamburger University also in Oak Brook. 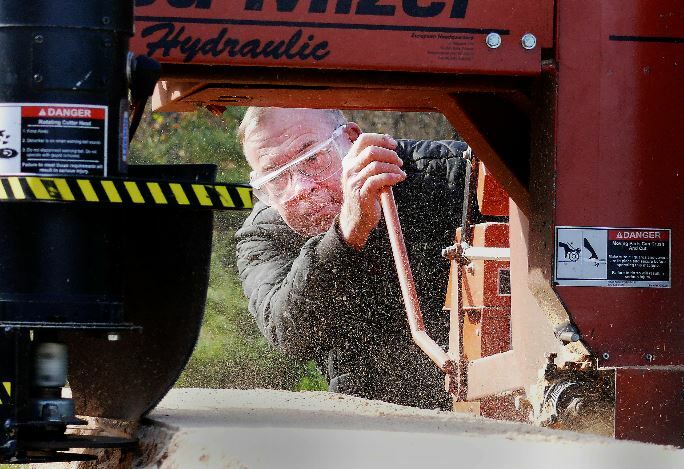 The workshop will include classroom presentations and a live portable sawmill demonstration. Registration for the Hardwood Lumber & Sawmill Workshop is $85 and includes lunch if made by February 29 ($110 after and $135 onsite.) A $35 discount package is available for attendees who register for both the Hardwood Workshop and the Full Circle Urban Forest Conference (View schedule). Learn more and register for the Hardwood Lumber & Sawmill Workshop. Badge pickup and onsite registration opens at 8:00 a.m. on Thursday, March 17. The program will run from 8:30 a.m. to 4:00 p.m.
For more information, contact Rich Christianson, conference director, at 773-822-6750 or richc.illinoisurbanwood@gmail.com.